Blurb: A tale of true love and high adventure, pirates, princesses, giants, miracles, fencing, and a frightening assortment of wild beasts — The Princess Bride is a modern storytelling classic. 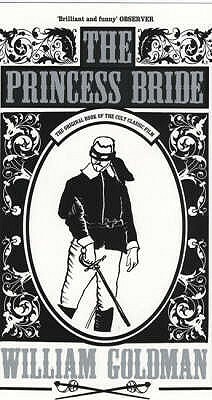 As Florin and Guilder teeter on the verge of war, the reluctant Princess Buttercup is devastated by the loss of her true love, kidnapped by a mercenary and his henchmen, rescued by a pirate, forced to marry Prince Humperdinck, and rescued once again by the very crew who absconded with her in the first place. In the course of this dazzling adventure, she’ll meet Vizzini — the criminal philosopher who’ll do anything for a bag of gold; Fezzik — the gentle giant; Inigo — the Spaniard whose steel thirsts for revenge; and Count Rugen — the evil mastermind behind it all. Foiling all their plans and jumping into their stories is Westley, Princess Buttercup’s one true love and a very good friend of a very dangerous pirate. 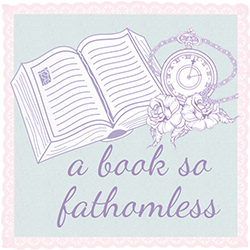 Review: This was one of those books that felt like pretty much everyone had read it. I know in particular, one of my lovely friends (who is probably read this on Goodreads) has a little bit of an obsession with this book and the movie. In all honesty, that person is probably the only reason I actually picked up this book in the first place, well that and I really like the cover on the version I own. The Princess Bride turned out to be absolutely nothing like what I had imagined it would be. The first part of the book, for example, completely confused me and despite the fact that my friend had already warned me about it- Goldman actually had me believing that S. Morgenstern was a real author and if you look on Google you’ll see that I wasn’t alone with this. This was an absolutely brilliant addition to the book in my opinion. The whole book is filled with humour and at the beginning the only thing I knew about the book was that it was a fairy tale- I was a little bit surprised by it. Honestly, I describe more as a parody of a fairy tale more than anything else. I’m not usually interested in books that are just funny for the sake of it, but I found that the funny things within the book were actually quite witty compared to the sort of silly humour which is more present in typical parodies. Some of the lines in there are just so amazingly good that it hurts. Now onto characters. I loved Westley- from the moment he appeared in the book I knew he was going to be my favourite character. I don’t like him simply because he’s the ‘hero’, but I enjoyed his story and once again, some of his lines are hilariously funny. When it came to Buttercup, I had more of a love/hate relationship with her. There were moments when I absolutely loved her but there were also moments when she really annoyed me. Fezzik and Inigo were also amazing- I especially liked when the two of them interacted with Westley. It felt like they all just connected with one another so well. One thing that I wasn’t so fond of was when Goldman interrupted the story with his notes. I liked them at first but after a while I just wanted to know what was going to happen to Westley and Buttercup rather than what was happening to him or why he ‘cut’ certain things out. Other than that, I really enjoyed it. Admittedly, I read this book with almost the sole purpose of watching the film adaptation, which I’ve now done and will be posting up a book to movie post within the next week or so.